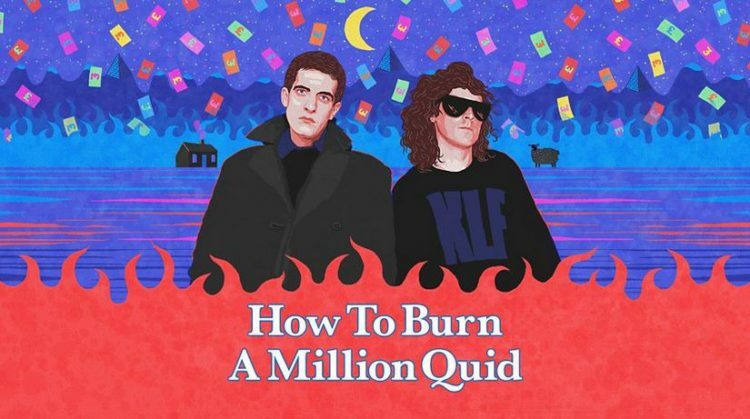 How to Burn a Million Quid – the comedy-drama radio series co-written by Sean Grundy alongside Cara Jennings – is now available to listen to in full on BBC iPlayer. The 6 x 30 minute production tells the manic true story of KLF, the chart topping pop partnership who swapped the music industry for the art scene and burned £1 million in cash on a remote Scottish island in 1994. This globe trotting adventure sees the duo blaze a trail from Sweden to the North Pole and beyond, eventually ending up on the Isle of Jura with two suitcases stuffed with cash. Featuring the voices of Paul Higgins (The Thick of It), Nicholas Burns (Nathan Barley) and Kevin Eldon (Hot Fuzz), it was produced and directed by Boz Temple-Morris for BBC Radio 4. All six episodes are now available.